The Proud Purchase Gift Card is a seasonal promotional gift card sold during the Holidays. 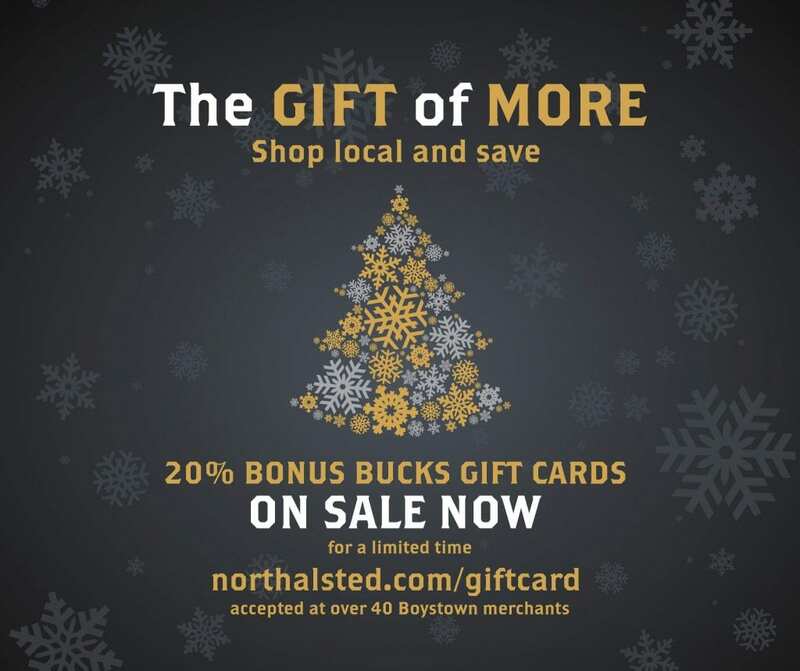 Northalsted Business Alliance provides a free bonus 20% value available to spend at the locations below. The Proud Purchase Card is a great way to support local business and shop small! Sales of this card will resume in late November 2019. Note: card value does not expire but should be used at least once every twelve months to avoid a service fee. Maximum purchase is $400 per card ($480 value) and $1,000 per person ($1,200 value). For full terms and conditions please see Card Holder Agreement. For questions and customer service please contact: [email protected] (773) 883-0500. The Proud Purchase Gift Card is issued by MetaBank, Member FDIC.